A fast casual eatery serving modern handhelds with Filipino and American flavors. 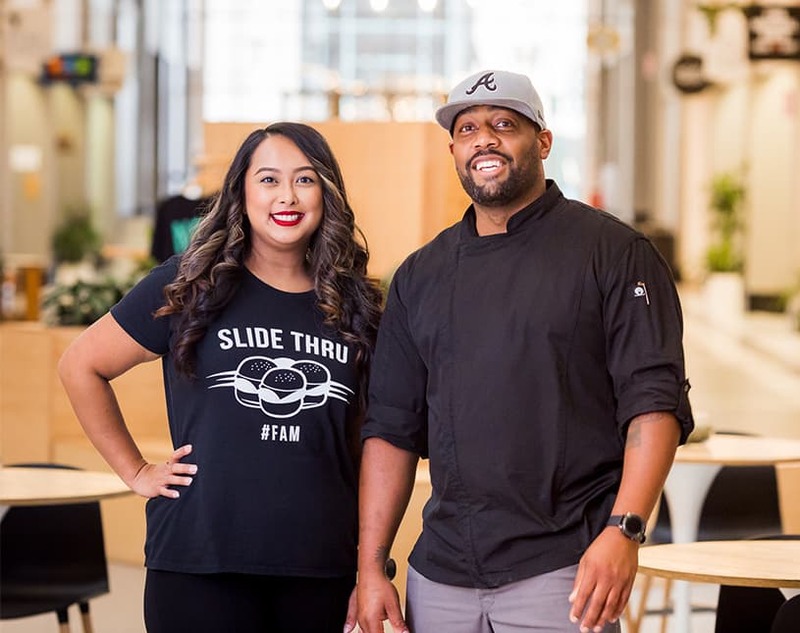 Slide Thru #FAM is the result of a decade long friendship of co-owners Chef Eric Jackson and Rina Parrilla Garcia. The two met working in a corporate restaurant and immediately connected on their shared love of food and music. Eric is a self-taught chef from Augusta with over 16 years of culinary experience and a gifted lyricist while Rina is a Virginia Beach native that carries 13 years of “front of the house” experience along with being an R&B guitarist/singer. As a first generation Filipino-American, Rina grew up enjoying Filipino food and continued the traditions with her husband, son, and entire family at weekly dinners at her parents’ house where her mom enthusiastically shared her recipes with Eric, his wife and their 3 children as they were now members of the Parrilla family, bonding again over their love of food and music. With Eric already running a successful catering company, Live Life Eat, he brought Rina on as partner to create Slide Thru #FAM. #FAM represents a few things. Filipino-AMerican, FAMily, Food And Music, more importantly Food And More because their goal is to build a brand and a place that not only feeds the belly, but also the soul. 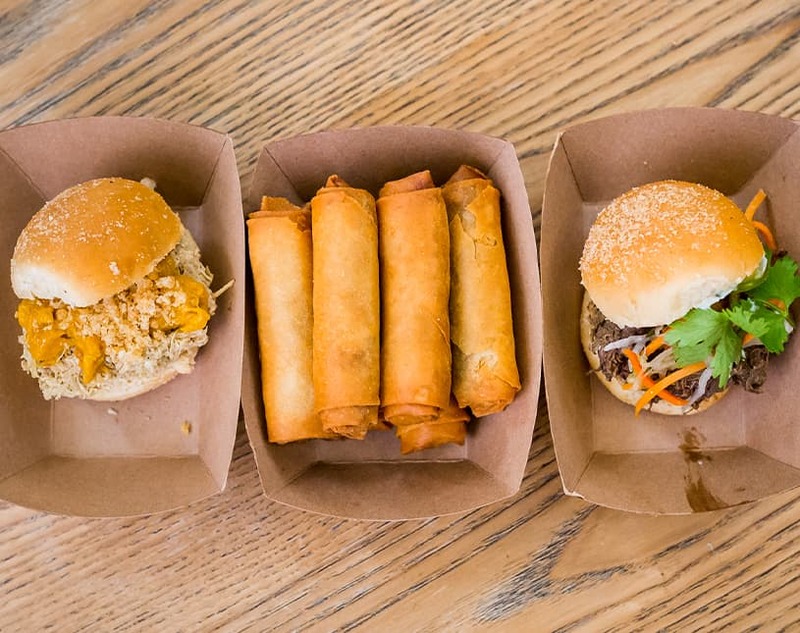 Slide thru and sample their signature sliders like the Mango-Dobo or the Dinuguan-Mi, check for Chef Eric’s monthly Limited Release beef slider based on hip hop legends, or enjoy their Iconic Duo: a pairing of classic PAHN-sit and LOOM-pya. Better yet, try a Mixtape which is every dish they make.